I just came back from a long weekend on Sanibel Island in Florida. Known for its abundance of shells, Sanibel was a much needed breath of warm weather after the snowiest (and one of the coldest) winters in Boston. I met my parents and family friends there, and my mom had bought honey mangos for the stay. 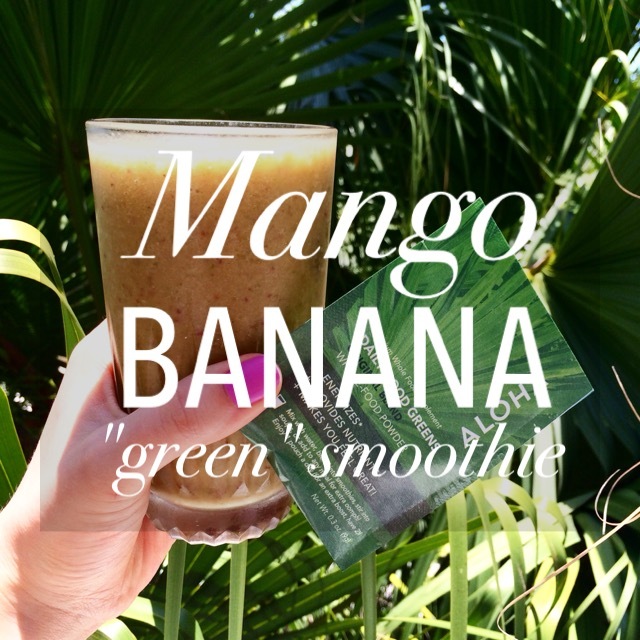 They’re deliciously sweet and rich in vitamin C. The mangos was just begging to be transformed in a smoothie. Given most days were muggy and in the high 80’s, low 90’s, it was only fitting to make a Mango Banana “Green” Smoothie. Bananas, strawberries, spinach and a dose of Aloha‘s 14 superfoods, this smoothies was better than expected. One sip and hopefully you’ll channel some beach vibes like the pictures below of Sanibel and be transported to your own tropical paradise. Who says you can’t celebrate spring? But then again, it’s snowing in Boston today. Ironically enough, my roommate writes for Insane for Drinks, and she posted about Captain Morgan‘s new flavored rums: coconut, pineapple and grapefruit. By flavored, I mean they smell like fresh juice (and taste like it! ); they’re beyond delicious. 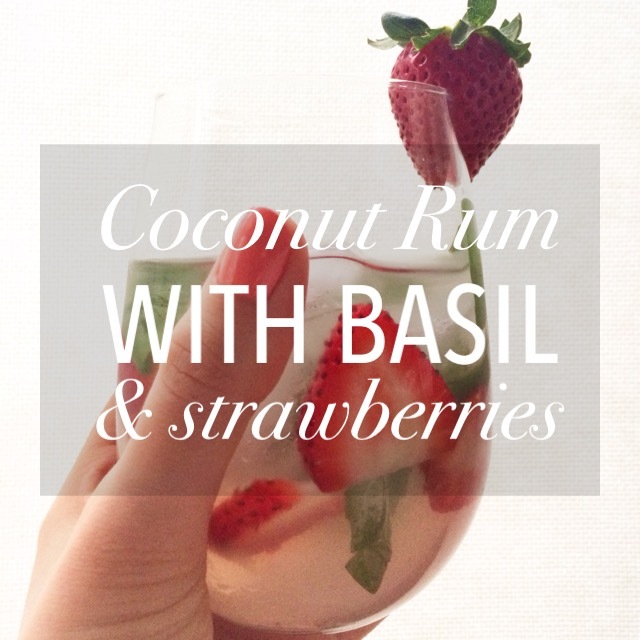 With two mojitos ideas to come, try Coconut Rum with Basil & Strawberries in the meantime. I used coconut water for a healthier mixer and the use of fresh fruit and herbs makes it oh-so-refreshing. Your tastebuds will thank you. 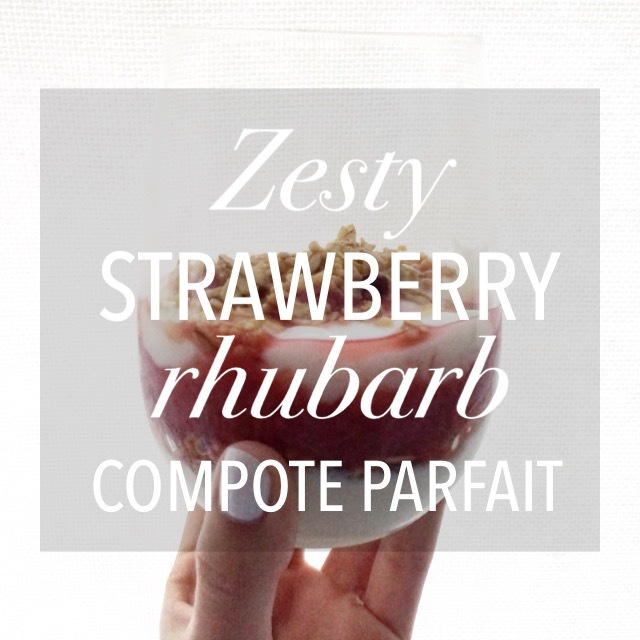 I saw this recipe on Skinny Taste at the end of last fall and I was a bit skeptical. Quinoa, at least red quinoa, has that bitter taste to it. I wasn’t sure how it would perform as a breakfast dish. 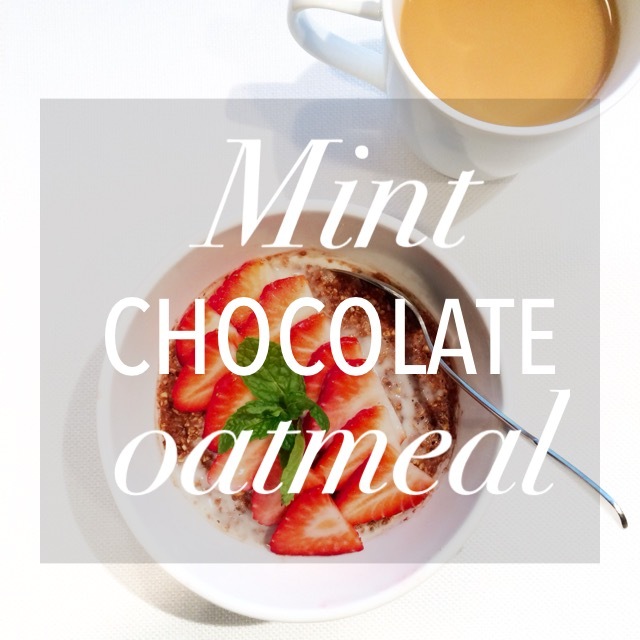 I think we can all agree I’ve explored the oatmeal and steel-cut oats options quite thoroughly, so I thought why not give it a try? Plus, it’s a different gluten-free breakfast option. Cutting the quinoa directly in almond milk, vanilla, cinnamon and agave could the quinoa a different twist from its bitter profile. Add fresh fruit and bam! 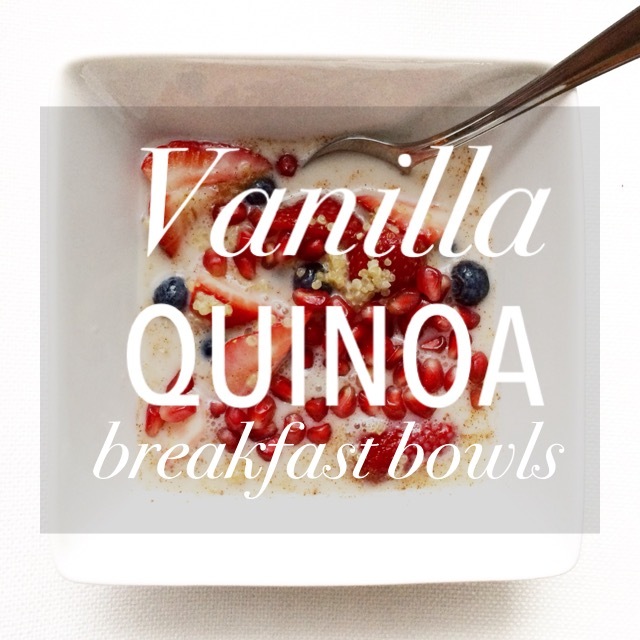 The Vanilla Quinoa Breakfast Bowls were born. Happy Valentine’s Day, everyone! 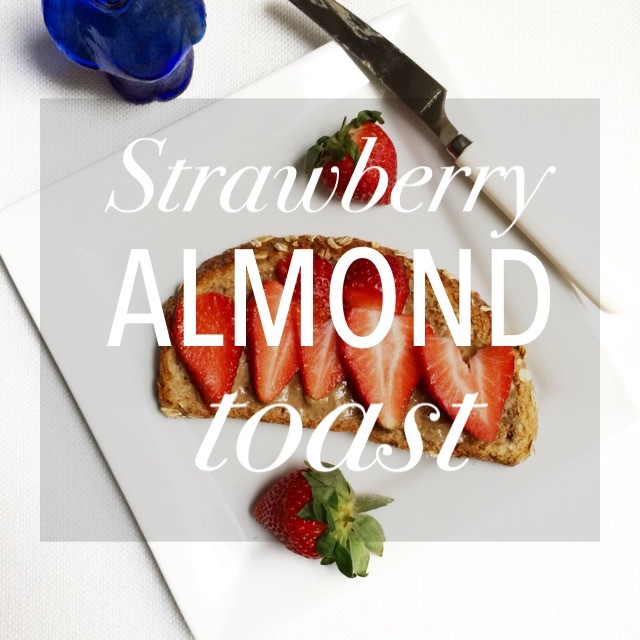 A breakfast, a snack or dessert, this Strawberry Almond Toast is obviously simple, but a sweet addition. Also, the red just seemed like an appropriate theme and start to my day. I’ve always found peanut butter to be overpowering, so I wanted to give almond butter a try. I know, I know — who doesn’t like peanut butter? I’ve never been peanut butter’s biggest fan. Almond butter though is an entirely different story. Smooth, creamy, mildly flavored. Slathered across a warm and hearty piece of multigrain toast, topped with fresh strawberries and this toast is the perfect breakfast or snack on a seeing red kind of day.